Available from Fire Protection Shop are a range of FireChief Wet Chemical Fire Extinguishers XTR in 2, 3 and 6 litres. 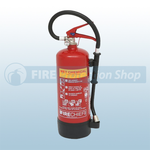 The extinguishers are ideal for use on Class F fires, involving cooking oils and fats. The Wet Chemical rapidly knocks the flames out, cools the burning oil and seals the surface to prevent re-ignition. 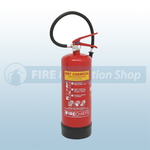 The extinguishers are ideal for small to medium sized kitchens. 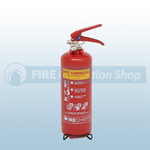 The extinguishers offer protection against class A, B and F type fires.